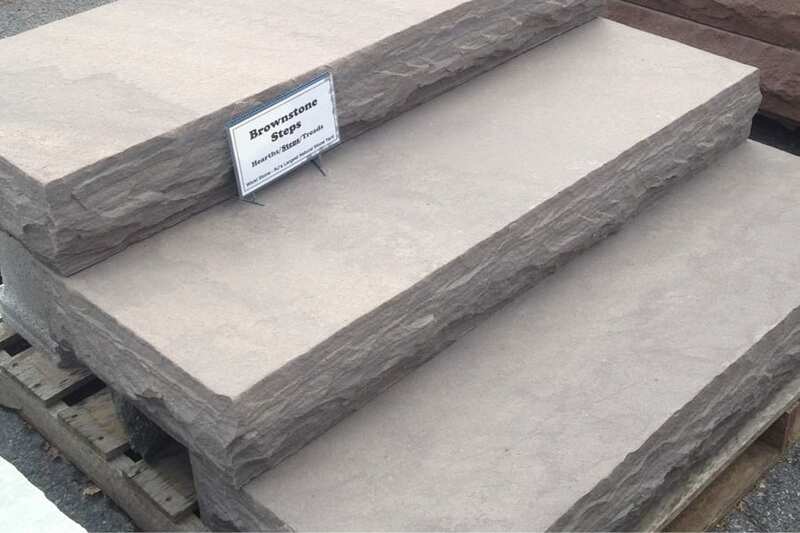 Own Brownstone Natural Stone Steps have a nice light to medium brown tone to them. There is no real hint of red as is found in. certain Brownstone Quarries - these are brown and consistently hold their color. 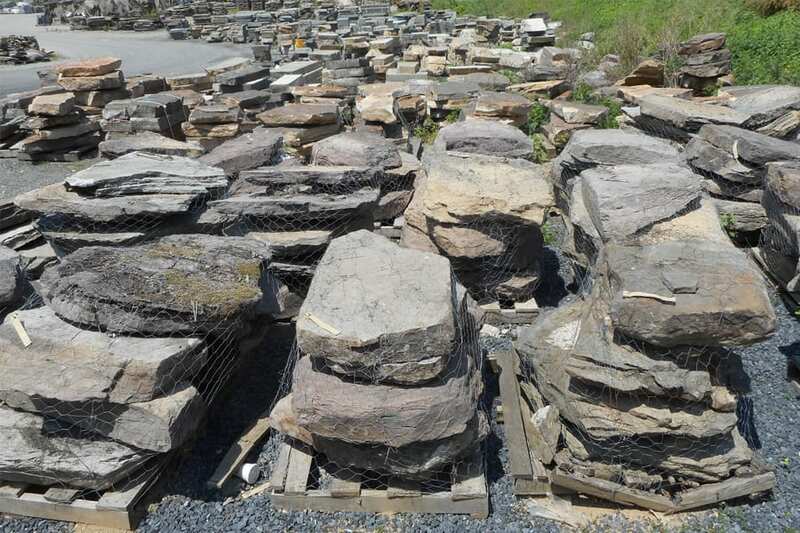 They are sawn top and bottom with rock faced edges. Brownstone immediately looks aged an weathered giving the steps a classic feel. 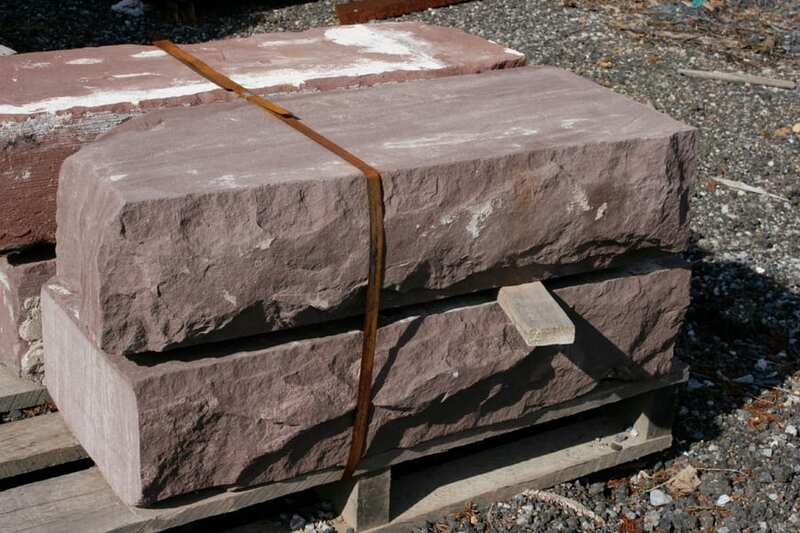 Our Brownstone Natural Stone Steps are a great way to bring the classic look of a brown stone into your landscape. 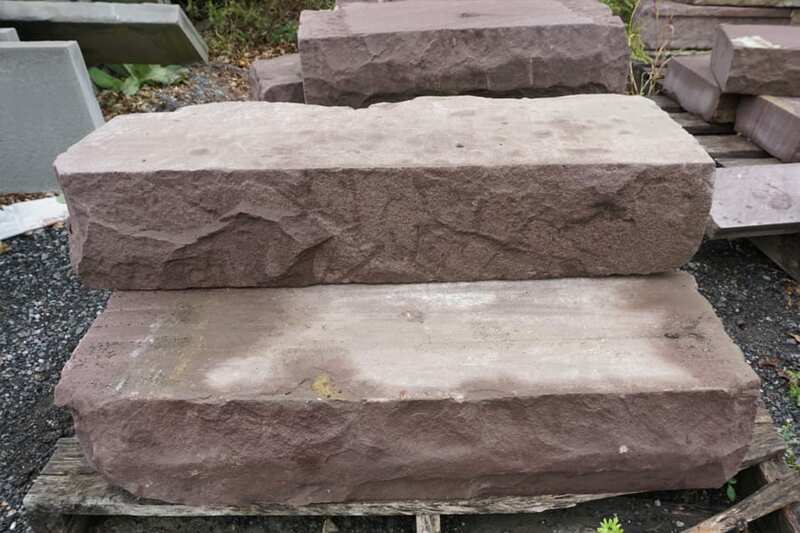 These imported brownstone steps have a silvery brown tone, 4 snapped edges and sawn tops and bottoms. 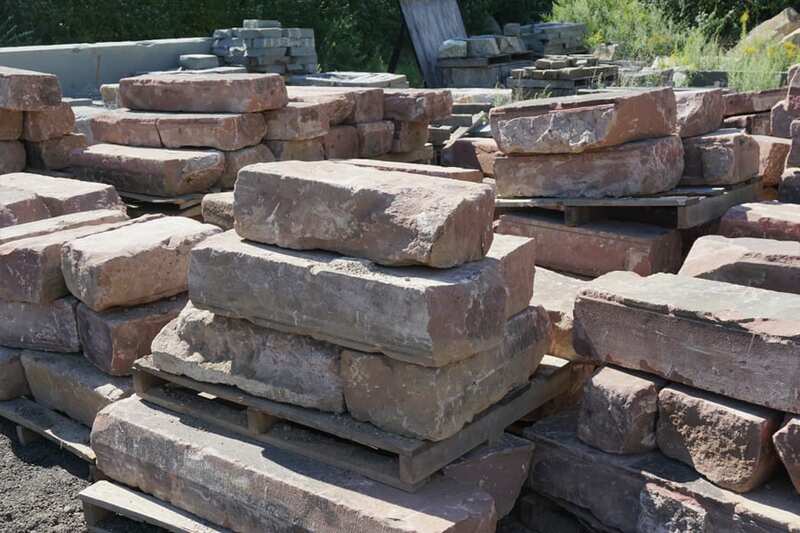 We also carry reclaimed brownstone steps where the deep browns/reds are much stronger (scroll down to see). The imported sawn steps are a silvery brown that gets much deeper when wet. The reclaimed steps are a deep reddish brown. Imported steps have 4 snapped edges that are straight but slightly rough. The top and bottom are sawn and thermal treated to add texture. Reclaimed steps have chiseled edges as well as chiseled or snapped tops and bottoms. Most steps have roughly 6" riser heights. Length and width are highly variable and depend on the set. It is not uncommon for each step in a set to be 3-4 feet wide, 2 - 3 feet deep, and 6 to 8" tall, but that can vary widely. We have some sets that are much longer, and certain sets can have significantly smaller lengths and widths. Imported is sold by the square foot, reclaimed is sold by weight. Do PA Colonial steps always have moss on them? No. Although the stone is conducive to growing moss so if they end up in a shaded location with the right moisture and environment PA Colonial steps frequently support moss growth.